What employers can do to protect themselves against staff who make secret recordings. Modern digital technology has made it increasingly easy for employees to make audio or video recordings of interactions with their managers and colleagues, most obviously on mobile phones. This usually happens where there is some kind of dispute about an individual's treatment or performance, such as in the context of grievance or disciplinary hearings. 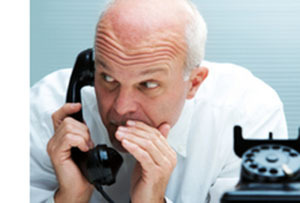 Covert recordings can seriously undermine trust between staff and disrupt work relations. They raise various legal issues, particularly concerning the contractual, data protection and privacy rights of those who may be secretly taped or filmed. In practical terms, it is important for employers to lay down clear rules about when, if ever, it is acceptable to record events at work. They should consider adopting a policy that covert recording is prohibited and treated as serious misconduct, perhaps with dismissal as a consequence. Employers should also take steps to limit the damage done by such recording, for example, by encouraging managers to be 'on guard' and avoid making any comments which may suggest bad faith or discrimination.